As the state’s BJP government completes 100 days in the office in the next few days, a Samajwadi Party spokesperson said it was resorting to such tactics to “smokescreen its failures”. With nearly half a dozen projects launched by former chief minister Akhilesh Yadav under the CBI scanner, the Samajwadi Party has attacked the Adityanath government, saying it has reduced itself into an “inquiry committee”. “It smacks of politics of vendetta,” party’s chief spokesperson Rajendra Chowdhury told. It reflects that the state government relies more on central investigating agencies, like the CBI, than on its own machinery for carrying out any probe, he alleged. Since taking office on March 19, the Adityanath government has recommended CBI probes into several projects of the previous Samajwadi Party regime led by Akhilesh Yadav. These include alleged irregularities in the functioning of Shia and Sunni waqf boards, Akhilesh’s dream project of Gomti riverfront development, mobile creche scheme, and also into the death of Karnataka-based IAS officer Anurag Tiwari in Lucknow last month. Besides, acting on an Allahabad High Court directive, the state government has recommended a CBI probe into alleged irregularities in the construction of Delhi-Saharanpur Yamunotri highway. “It seems the BJP government in Uttar Pradesh has become an inquiry committee. It’s engaging in politics of vendetta, and more so to smokescreen its failures in delivering on the pre-poll promises,” Chowdhury said. In its probe into alleged irregularities in the Yamunotri highway construction, the UP Police found out that Rs 455 crore were siphoned off by a Hyderabad-based firm, which undertook the project, in connivance with staff of 14 banks and some chartered accountants (CAs). It told the government that since offices of the financial institutions, the CAs and the construction firms were located in Delhi, Mumbai, Hyderabad, Chennai and other parts of the country, it would be better to get it probed by some central agency. After an internal probe, a CBI inquiry was recommended last month, Principal Secretary (Home) Arvind Kumar said. The CBI has also registered an FIR to probe alleged irregularities of funds into the Rs 1,100-crore Sachal Palnagriha Yojana (mobile creche). The scheme was launched by the Akhilesh government to provide creche facilities to children, aged six and below, of women labourers engaged in the construction sector. The scheme, supposed to involve NGOs, aimed at providing nutritious food, entertainment and educational facilities to children. It is alleged that officials of the state’s Social Welfare, Building and Constructions Department connived with NGOs to divert funds. The Lucknow bench of the Allahabad High Court had handed over the case to the CBI, saying there was a need to probe the alleged misappropriation and defalcation of public money during the implementation of the scheme. The court had observed the state government departments were "shifting blame" onto each other. The CBI has booked unidentified officials of the UP State Social Welfare Board, the UP Building and Construction Workers? Welfare Board and several NGOs in this case. “The CM does not trust his own police when it comes to probe. 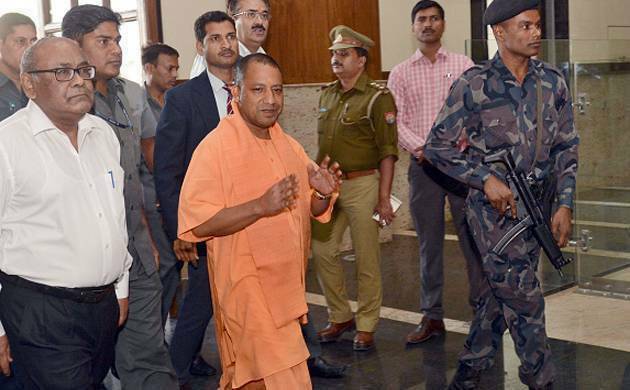 The Adityanath government seems to rely more on CBI than on Uttar Pradesh police,” the SP spokesperson said. The state government also recommended a CBI probe into the alleged irregularities in the working of the Shia and Sunni waqf boards. UP MoS for Waqf Mohsin Raza said the alleged scam came to the fore in a probe by the Waqf Council of India (WCI). The role of Shia Waqf Boards chairman Wasim Rizvi and that of the Minister for Waqf in the SP government Azam Khan have also come under the scanner after the WCI inquiry. Khan has, however, maintained he is “absolutely clean” and the allegations against him were baseless. The UP government is also contemplating to recommend a CBI probe into various anomalies in the Gomti Riverfront Development Project- a dream project of former Chief Minister Akhilesh Yadav. “Just a couple of days back, a (Gomti Riverfront) probe report was submitted to Chief Minister Yogi Adityanath. All necessary steps will be taken and appropriate action initiated for a CBI probe,” MoS, Urban Development, Girish Kumar Yadav told PTI. On April 1, the chief minister had ordered an inquiry by a retired high court judge in the project. The decision came after urban development officials told the CM that of the total allocation of Rs 1,513 crore, 95 per cent (around Rs 1,435 crore) had already been spent but less than 60 per cent of the work has been completed. Some other SP government projects under the scanner are land acquisition for Agra-Lucknow expressway, the Yash Bharti awards Samajwadi pension scheme, ration cards distribution, claiming “fake” fix deposits to get PWD contracts in Etah. Also, alleged irregularities in the implementation of city-modernisation scheme, Jawaharlal Nehru National Urban Renewal Mission (JNNURM), by the UP Jal Nigam and the construction of Jai Prakash Narain International Convention Centre at Lucknow are under the radar. The UP government also recommend a CBI probe into the death of 36-year-old IAS officer Anurag Tiwari. His body was found outside a government guesthouse in the state capital, barely a kilometer from the high-security Assembly complex last month.